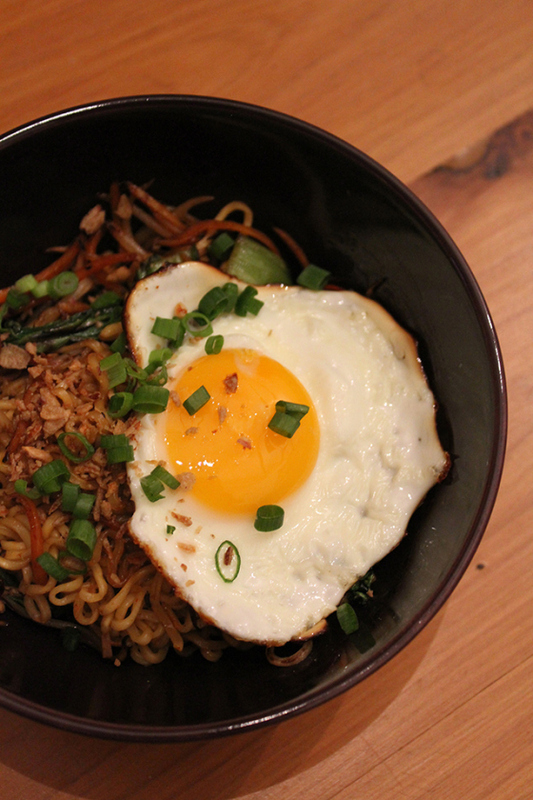 In Indonesia, mi goreng is actually a dish that’s quite common for breakfast or lunch. It simply translates to fried noodles. It’s an Indonesian staple that doesn’t just come out of a packet. Well, it also comes in a packet. But the original version isn’t a 2-minute noodle kind of thing. 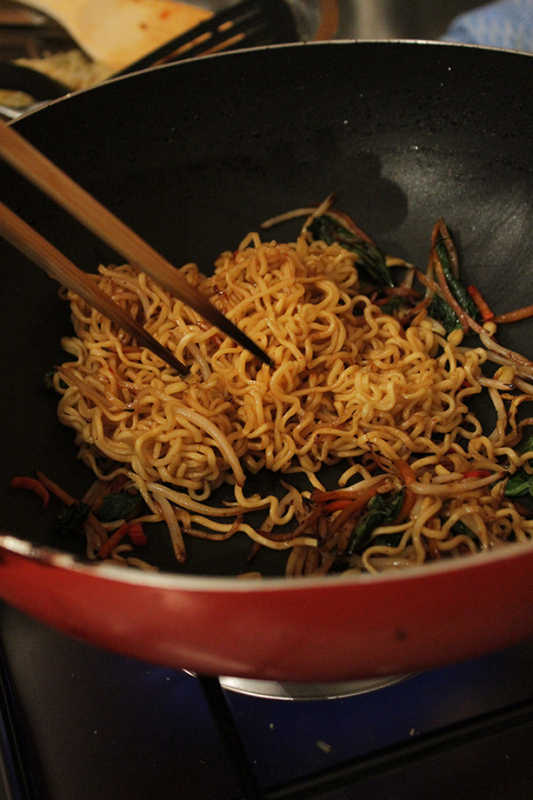 It’s actually made by stir frying the noodles together with some vegetables and served with a fried egg on top. Nowadays, that’s often called Mi Goreng Spesial (if you’ve been to Bali, you’ve probably eaten this for breakfast! It’s really good for hangovers, by the way). Spesial, which translates to “special” (shocker, I know! ), refers to the egg on top. Anyway, tthis recipe comes from my friend, Nadia , who is Indonesian. You can of course change the veggies to your liking, but Nadia prefers bean sprouts, bok choy and carrots. Cook the noodles in boiling water. Heat the oil in a wok or frying pan. Cook all the vegetables and chilli for 2 minutes on high heat. Add the noodles, the squeeze in the kecap manis, sambal and mix in the seasoning powder. Fry an egg and serve on top. Sprinkle the pack of fried shallots on top along with the spring onions. Done!